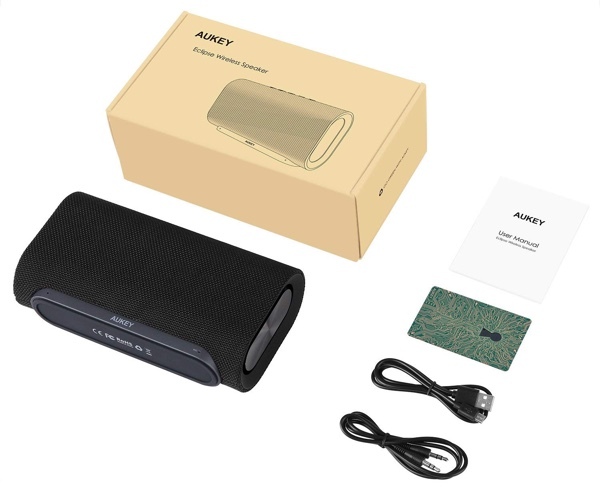 Not all Bluetooth-based speakers are created equally, as this AUKEY offering proves. In a world full of high-end, high-cost speakers complete with digital assistants, we are delighted to be able to offer you this performant speaker for an extremely affordable $38.68. 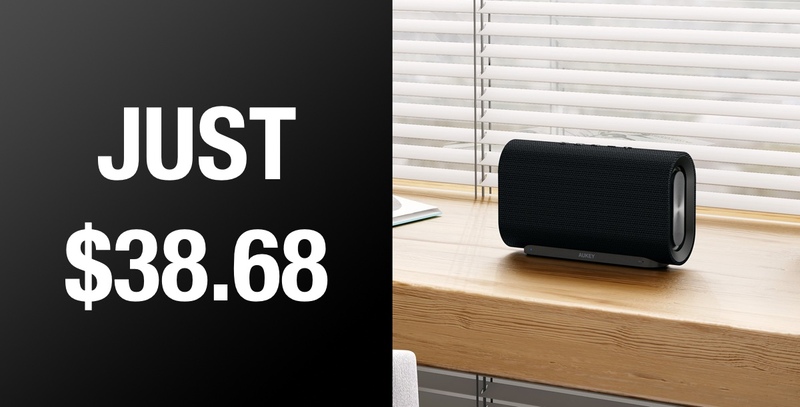 The real key appeal of this speaker is down to the fact that it is lightweight, highly portable, and comes packed with Bluetooth technology allowing it to connect to multiple devices that will work as streaming accessories. The internal Bluetooth 4.2 allows the device to instantly connect and wirelessly stream music from almost any device at a range of up to 10 meters. Or, of course, you could make a wired connection via the 3.5mm audio cable. The dimensions of this speaker also adds to its portability. The hardware itself measures in at just 211 x 114 x 64mm and weighs just 800g, meaning that it offers maximum portability and could be used as a party speaker or as a perfect travel companion. It also brings the additional aesthetic charm of having a durable woven fabric surface offering a more appealing and comfortable look and feel that complements your home. And let’s not forget the fact that it is going to actually deliver an impressive sound that will perfectly match the aesthetic of the hardware. The Eclipse Wireless Speaker delivers powerful, dynamic sound with weighty bass through dual 10W drivers (total 20W) and dual passive radiators, which should be enough to fill a room with rich audio. This hardware definitely is not going to rival and outperform hardware like Apple’s HomePod or a Sonos or Bose creation but you are definitely going to be getting a lot more bang than the buck that you are spending suggests you would. If you are interested in audio-based hardware which is user-friendly, offers powerful and rich audio, comes with a great design that should match any environment, and which is lightweight and portable enough to carry around, then this is definitely the hardware that you need. You can find out everything that you need to know on the product link below and make sure to take notice of the associated discount code. The promo code still works. Try to copy and paste it or try all caps. It does not. Obviously there’s some limitation. Ah ok, as usual this is .COM only… I got reditected to .CO.UK previously.